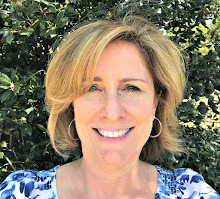 Today I'm sharing a little personal pamper that costs around five dollars. If you are one of those lucky people whose nails grow long and beautiful and you can just paint them with polish, this post may not be for you. My fingernails are the crummy, peeling, chipping kind. I loved having "good" nails each time I was pregnant, but for the rest of my life they have just been pathetic. Luckily, there is a very affordable fix. These little gems can be found with the nail polish at Target, Walmart, Walgreen's, and grocery stores. I've been using the French Tips (Real Short) for years. 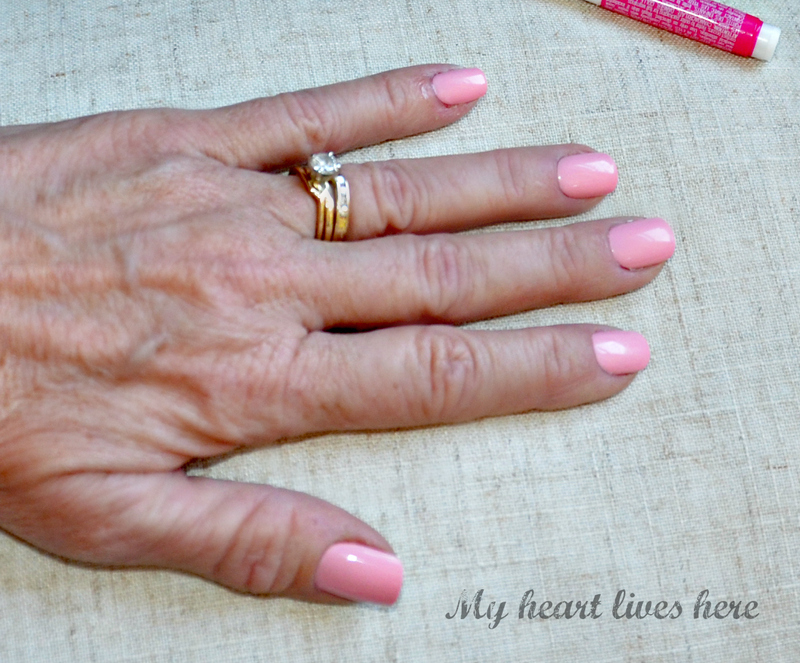 They came in handy when I was working long hours and didn't have time for regular manicures to keep up acrylic nails. Just recently, I've ventured out and started using the "gel fantasy" version. There are a few color options. I hope they add some more. Honestly, I find the color selection at stores to be pretty hit or miss. I bought some beautiful red ones for Christmas parties, but haven't seen that shade recently. To apply them, I choose the right size faux nail from the 24 in the box, put a little of the glue on my nail, and press it on (holding for a few seconds). I find a set usually lasts about a week, longer if I'm on vacation and away from housework. 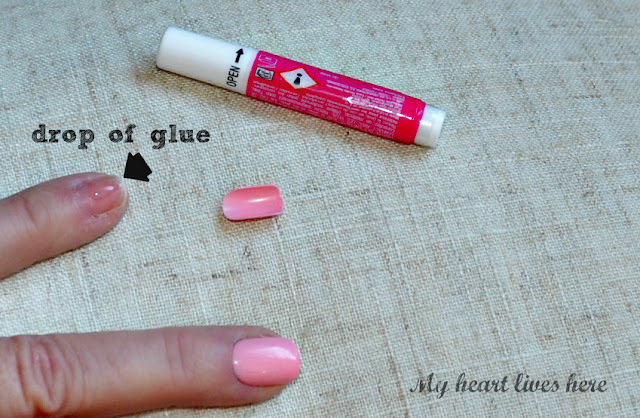 Hints: Size the nails to see which fit best before using glue. I like to use too little glue rather than too much, so it doesn't ooze out around the cuticle. However, you can wipe extra away with the manicure stick (included in the package) if you do it quickly. Keep the extras in case you need to replace one. You can protect your own nails with a layer of clear nail polish, but the fake nails will not stay on as long. This is a good option if you just want to wear them for a special occasion. I don't bother because as I mentioned earlier, my own nails look terrible no matter what I do or don't do to them. (Funny enough, they do grow out under the protection of the fake nails, but then they break as soon as a I try to go with just real nails.) The gel nails also come with a sticky tab option. Honestly, I haven't tried that. I have no affiliation with the maker of these products. I'm just a happy customer. 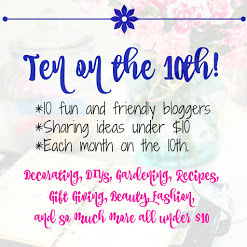 Please be sure to visit all the inspiring Ten on the 10th posts! Wow - these look fabulous! Are they difficult to remove? I will be on the hunt for these next time I run into Target!! Your nails always look amazing! I'm glad you shared this because really ... you've got it down to an art. Ellis I wear these ALL THE TIME! I almost posted about these. I love the short or the real short but they are hard to find. I also love that they look so real. My BFF Rox was a nail tech many years ago and is super picky. The first time I wore these she wanted to know when I started getting my nails done again! Ultimate compliment. Love, love, love them. This is amazing. My nails are okay but they break as soon as I polish them. I will have to try this next time I need cute nails. Ok...I need to do this. I have gardening hands and my nails are exactly like yours. I am too impatient to spend the time it takes to get nails done. That looks pretty darned easy! Amazing! These nails look so good. Thanks for the tip. Eilis, would never have know that those nails were not yours. Everything just keeps getting more realistic. Eilis I too had perfect nails when I was pregnant. Too bad it didn't last. I think I might look out for this product. I can't wear nail polish because of allergies. I have always wanted to try these, but wasn't sure if they'd work. I am so trying them now!!! Thanks! !